Why should kids have all the fun? 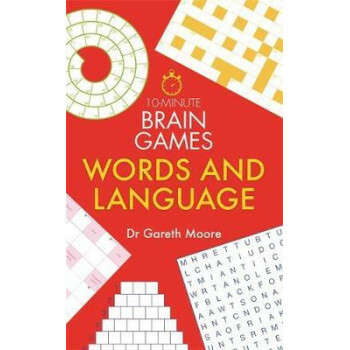 With the bestselling Brain Games for Clever Kids in the charts, Dr Gareth Moore turns his hand to creating a similarly entertaining and interactive range of brain game puzzle books for adults! Put your brain to the test and have some fun with over 150 brain games that get steadily more challenging as you progress through the book. Puzzles featured range from encrypted quotes and arrowwords to spiral crosswords, anagrams, word circles and pathfinders; link words, fitwords and many more besides. With space for you to record how long it took you to complete each puzzle, with these brain games it is easy to track your progression - and if you're really stuck you can have a quick look at the solutions at the back. Give your word and language skills a real workout and have some fun.